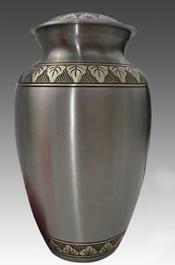 JANUARY 17--Burglars ransacked a Florida home this week and stole the cremated remains of an 87-year-old woman, according to police. 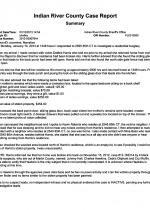 Debbie Harris discovered that her Vero Beach residence was broken into when she returned home Monday afternoon from her job at Home Depot. Harris, 63, told cops that, along with several pieces of jewelry, her mother’s ashes were taken from a bookshelf inside a guest bedroom. 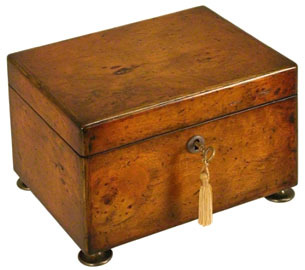 The remains of Harris’s mother Arlene, who died in 2007 from pancreatic cancer, were inside a sealed oak “cremation box” that has an inscription on its top side. Harris told TSG that it appeared the thieves tried to pry open the container--which they may have mistaken for a jewelry box--since wood chips from the cremation box were found on the bedroom floor and the porch. 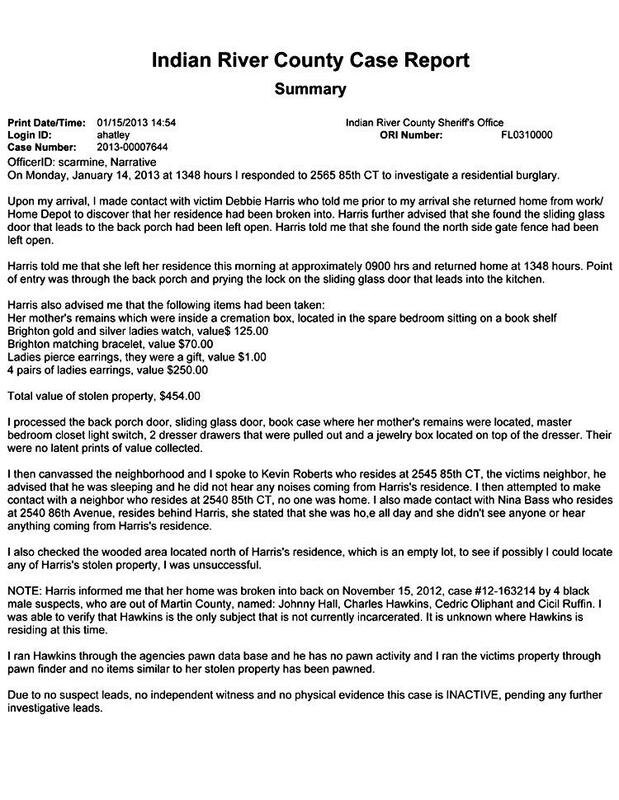 Harris’s home was broken into two months ago, and cops subsequently arrested four men for the burglary and a series of similar “pillow case” crimes. Harris told TSG that the cremation box was thrown on the floor during the prior burglary.